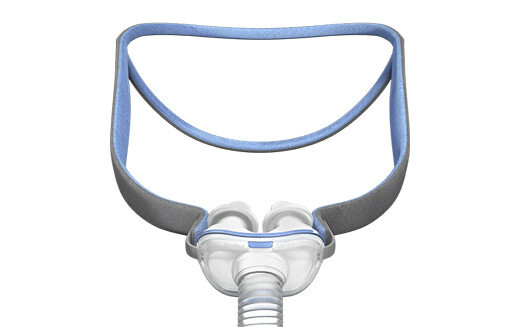 The Resmed Airfit P10 Nasal Pillow Mask and Headgear, is an intranasal mask to be worn with CPAP. You may choose the Resmed Airfit P10 Mask System to treat sleep apnea. Many individuals that cannot tolerate a full face or nasal mask, or find it to be too cumbersome, will choose an intranasal mask, which increases therapy adherence. 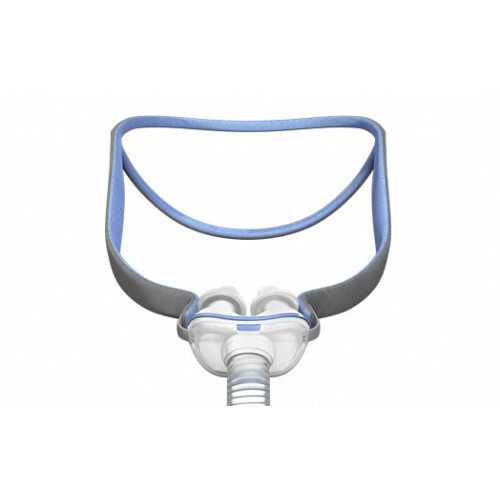 The AirFit P10 CPAP Mask is ResMed's quietest intranasal mask to date. This mask continues to possess the performance and dependability of the ResMed Swift FX CPAP mask, but is approximately 50% quieter and lighter. The flexible design also allows the patient to sleep in any position without interruption of therapy. Delivering a secure seal and a high degree of comfort, the ResMed AirFit P10 CPAP Mask is effortless to use, with only three pieces to the entire ResMed P10 mask for rapid cleaning and assembly. Individuals that choose to use an intranasal mask may experience oral venting, breathing through the mouth while wearing a nasal mask. When this occurs, an individual will lose therapeutic pressures. It may prove to be beneficial for you to accompany your intranasal mask with a chin strap. A chinstrap on the Resmed Airfit P10 Headgear will prevent oral venting while wearing the ResMed AirFit P10. Contours to your Face Shape. Less Intrusion Compared to Other Masks. Provides Stable Performance, Even at High Pressures. Two Mask Options: AirFit P10 and AirFit P10 for Her. Pillow Sizes: Small, Medium, and Large. Product Numbers: 62900, 62921, 62921, 62922, 62923, 62931, 62932, 62933, 62935. How do i remove the elastic headgear band from the frame? An assemble/disassemble sheet has been added for your convenience.